You are here: Home / Web 2.0 / Need a Blogging Rubric? Creating a Rubric to Evaluate Relevant Skills – Image by “Salvatore Vuono” on Free Digital Photos online. First of all, it’s very difficult to ‘borrow’ a rubric that someone else has made for their class, but it is useful for thinking about what criteria you need in your own. Thus, I have made a master list of blogging criteria for the task. Although we teach a spectrum of ages and grades, there are particular criteria that relevant across the grades. There are others that may be more applicable to elementary bloggers and vice versa. Here’s a list of blogging criteria that you could use in your rubric. Keep in mind that you will need to describe it in a way that is appropriate for the level you are teaching, ie. write sophisticated descriptions for high school students or write very simple descriptions for primary students. If you have other criteria that you believe should be added to this general list, please make a comment below and I will add it to the post. Please note that this is a general list from which you can choose the criteria that you plan to evaluate according to your course standards or expectations. It’s not expected that you include all of these criteria. For my grade ten Pre-AP, I expect that I will include most, but you must consider the weight of the assignment when choosing the criteria that you will use to evaluate. I would like to give credit to Clarence Fisher who created this rubric and shared it on his blog. I found it on another blog by Kathleen McGeady who gives Sue Walters credit for making her aware of it. 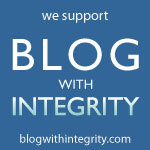 Sue’s article, “What You Wanted to Know About Student Blogging” is a good read as well. That’s the nature of the online community! It’s a discussion that gets around. Also, thanks to Ron Shapiro, a fellow English teacher, who on the English Companion Ning initiated a discussion on this topic that prompted me to write this entry. You have to be a ECNing member to view it, so if you are an English teacher I encourage you to join. A Rubric for Evaluating Student Blogs – University professor writes about how he evaluates blog entries. Very comprehensive list! Thanks a bunch. Thanks for the feedback. In creating this list for evaluating students, I’ve realized that the criteria could be used by bloggers like you and me to consider if there’s a way we could improve our communication. Our school website is being revamped right now to be more accessible, i.e. hearing impaired, visually impaired. I hadn’t thought of that aspect of creating a site before. Wow. I’ve sat on this for a day or so hoping to think of something to add to your rubric but alas, I cannot. I do think that measurement may be a bit tricky in some cases…but overall this looks to be a very rich list. That’s for this addition. Being the linguistically focused person that I am, I sometimes forget about including other ways of communicating. A blog with other-than-text elements is also very appealing and inviting to the ‘reader’. I will make an addition to the original list. What I was wondering was whether we should ask (or expect) students to use the differentiation techniques (like teachers use in their planning) in their own presentations and responses. I wasn’t aware of CinchCast, but yes, adding a variety of response features, specifically to help students who might not respond as favorably to just text. I’m thinking about a project I am working on with students who have chronic health conditions and how blogging in text formats may not be as engaging or stimulating for them. I’m sure that as teachers, we find that adding a visual to a response prompts students to react differently…so I wonder, if we ask students to respond in at least 2 different ways, for example text and an audio response, would that prompt other students to give a different type of feedback (and would responding in different ways prompt that same student to give a different answer). Most blogging that I see is done in text. I, myself, am drawn to blogs that provide a measure of visual stimulation over those that don’t. As we ask students to respond to each other…I wonder if we shouldn’t be asking them to vary the type of response. I am wondering what you mean by accessibility. Do you mean that the students add audio using something like CinchCast or add a related YouTube video? Thanks for a most thorough list! I wonder if we should be asking students to include some measure of accessibility in their presentations. I often embed audio or video to accompany my writing to help the audience “read” the message in different ways. Maybe this criteria could be added to presentation? Thoughts?